Here’s the snag, Friends. Our medical personnel bust their rear ends for 12 years on average for education, plus hundreds of thousands of dollars in expenses, time away from their families, etc. ; but what they walk away with is an expertise in managing disease treatment. Very few have even a few credit hours in matters of prevention or nutrition. Even worse, much of what they have been taught and paid dearly to learn is based on WRONG theories. Case in point, we treat cancer today with only three approved methods: chemotherapy, surgery, or radiation. More and more are being treated with all three methods. Unfortunately, none of these procedures have been proven to “cure” cancer. On the other hand though, as early as the 1924, Dr. Max Gerson, unequivocally revealed that cancer is a fungus and should be treated as such both in preventative and in more aggressive protocols. For those who are tired of me beating that particular drum, allow me to share yet another example. Last month I had a guest on my Self-Reliance Radio Show. Dr. K. Steven Whiting. Dr. Whiting made it perfectly clear that our approach to heart disease is completely backwards. 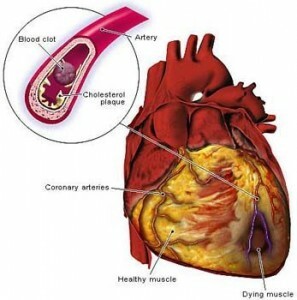 We treat cholesterol when in fact cholesterol is the final stage of symptomatic events of heart disease—NOT the cause. And yet when a person is diagnosed with heart disease, rather than attacking the real culprit—free radicals caused by toxic fats and other foods readily approved by our benevolent FDA and USDA—we instead prescribe statin drugs. For those of you who aren’t aware, statin drugs are the ONLY drugs other than anti-psychotic drugs, which require an evaluation every 30 days because they are seriously detrimental to the liver and can cause complete liver failure. But hey, let’s use them to attack one of the SYMPTOMS of heart disease. We’ll make everything all better that way. My point in sharing all of this is to highlight the necessity of medical preparedness. We simply cannot be independent and free to act if we are completely at the mercy of economy, misinformation, etc. for our health. There’s not much that can conquer the human spirit aside from the risk of losing one’s own quality of life or the life of a loved one. I am constantly hearing from folks who use the health of themselves or their loved ones as an excuse to not be prepared, aka self-reliant; when in actuality they are the ones that should be the most diligent in their self-reliance efforts. They are the ones who can tolerate very little modification in their environment before such alterations may result in death. Medical Preparedness involves getting the knowledge and the practice you need now so that you can eliminate your vulnerabilities in the future. This not only means focusing on obtaining excellent health and fitness, but also knowledge in helping others to do the same. This Principle of Preparedness also involves learning the most basic of emergency care. While it’s not fun to think about, what about the need to take care of a bullet or stab wound? What about CPR, field dressings, emergency tracheotomy, or the handling of seizures, etc.? I can tell you from experience that there’s nothing worse than watching someone suffer and be helpless to give them any beneficial aid. I’m sure you’ve at least experienced that feeling when your children have been ill. The remaining Principles of Preparedness can be an asset or a hindrance to our state of Medical Preparedness. We can take water for granted, or we can use it to combat diabetes, heart disease, and obesity now. We can use food to kill ourselves or to nourish every cell in our body. We can yell and scream at someone who has the audacity of calling out the canola oil industry, in spite of their medical expertise on such a topic (aka Dr. Whiting) or we can stop poisoning our body with free radicals and use alternative oils. Likewise, we can dismiss essential oils and call them “woo woo” as some elderly woman once did in a private e-mail to me (expressing her disgust with my even broaching the topic), or we can discover for ourselves if they may bring us more independence. I wholeheartedly believe that we MUST take responsibility for our health and well-being. As I write this article, I’m staying out of town for a week in order to learn and benefit from another method of alternative care which has delivered results in just one day that I’ve been unable to receive after tens of thousands of dollars spent on traditional medicine over the last 12 years. In my opinion, I have a responsibility to be independent; to not be a financial or even emotional burden to others. As such, I feel it’s my responsibility to continually pursue options which will mitigate any such vulnerabilities. Do tell about this alternative method you are learning about this week! great article! will look forward to hear about what you are learning this week also! TRUTH!!!! I'm learning...thanks to you....soooooo much! I have so much more to learn though! I just bought a book on essential oils...a reference manual that lists medical issues and the essential oils that can be used to heal them! I'm very excited to get it and study it and get the supplies necessary to be prepared! Thanks so much for your motivation! LOVE IT! I second (or third, forth?) what else has been written thus far...learning SO much from you and looking forward to more knowledge. THANKS!!! And have fun learning for yourself over the next week. There was a time in my life when I thought that all of these "new age" things (like essential oils) sounded a little hokey. But, once I opened my mind up and began to study and learn about essential oils and actually took the leap of faith to begin to exercise that faith did I find that every good thing I had been hearing about them was absolutely true! Open your mind and put in the time and effort to do the research then take a leap of faith and you will be amazed! BTW, essential oils have been around longer than the medical profession. I lOVE my oils! I will never go back to the old way again! Essential oils aren't the only miracle oils. Extra virgin organic coconut oil has so many wonderful properties that it deserves an article all it's own. Article idea Kellene? It's already been written. Just do a search on the search bar. You hit the nail on the head! I began studying herbs and making herbal remedies, as well as, eating healthier over a decade ago. We were self-employed and unable to afford any kind of regular health insurance. I haven't realized just how independent we have become from the medical field. I listen to those around me who have or are making doctors appts all the time and I am thankful it is not us having to do that, other than a yearly check-up. I believe this is one area that can be hard to prepare for since we can't be sure of what we will need. But, any preparation is better than nothing. Hey Kellene, great article as usual. Since I had that "little" accident almost a year ago.....I have been working on learning,getting stronger...I too love my oils and use them all the time....funny I have emphizema (hope I spelled it right) but the oils from my defuser do not bother me...and why should they I's not asthma..,You have alway recommended some great books. Razr, Copiaba essential oil and eucalyptus is amazing for emphysema. Just FYI. I, also, would love to hear what you are learning about! The more prepared I can become now for medical problems (as well as handling current health issues) the better. Over the past two years, I have switched nearly 180 degrees in my thinking of health and medicine, practitioners, etc. I hope whatever it is does you a world of good! Is there an essential oil to help with your body producing too much acid? I used to live on Rolaids, but now take the generic for Prevacid. I would love to be able to not have to take medicine anymore. Also, what oils would you need for high blood pressure? Teresa, first make sure you actually have too much acid. Many times, it is too little acid that is the problem. Next time you have an "acid upset", try taking 1 tsp. apple cider vinegar in a cup of water (or better yet, apple juice to mask the unpleasant taste). Wait 10 min and see if you're better. If you are, that is the problem, not too much acid. If it is too much acid, you might need to clean your colon. This will take about 3 months to get rid of the problem. In the mean time, you may also see other pleasant conditions disappear along with the acid problem. I used to have acid reflux so bad, I had to sleep upright to keep it from coming up and burning my throat. My girfriend then introduced me to AIM International brand of fiber (Herbal Fiberblend), plus a parasite remover (Para 90), which I took according to directions. I was faithful in taking and passed some of the most incredible things, which I won't go into, but noticed that I was daily feeling better and getting rid of my acid problem, a life-long post-nasal drip I had so bad that I continually cleared my throat, life-long bad breath and gastro-intestional gas (continual grumbling in my colon); stinky flatulence, body odor (daily showering and antiperspirants couldn't mask. I stayed on the fiber for four years, then backed off to using it only when I felt the need. I have never had any of those conditions since. I did the color cleansing about 15 years ago. When I went for a colonoscopy about 4 years ago, I had the cleanest colon the doctor said he had ever seen, and no pollops (I did have some diverticula - which I am convinced developed over the years I had chronic constipation and straining at the stool prior to colon cleansing). Try this two things, though, for your acid or lack-ther-of problems. Yes! I've been wanting to learn about medicinal herbs, homeopathy, essential oils, etc. I want to be able to grow my own medicine for my family and actually know what to grow and how to use it. I've been looking, but I can't seem to find a good "herbal medicine for dummies" kind of thing. All I find is either "why you should know it" or stuff that seems way too advanced. Do you have any suggestions for books, websites, etc. for beginners to these subjects? Thank you! Jennifer, you may want to be sure to tune in to The Self-Reliance Revolution Radio Show that I do every Wednesday evening from 6:00 p.m. to 8:00 p.m. (Mountain Time) on The Preparedness Radio Network (via BlogTalkRadio). Every other week I specifically discuss alternative ways of taking responsibility for our health, in depth. I also do a my regular (everything preparedness) show, "The Preparedness Pro Radio Show" (I know...original name, eh?) on Saturday mornings from 10:00 a.m. to noon. (Mountain time). That show occasionally deals with that topic, however, there's another great show that follows mine called "the Mad Herbalist". Kal does a GREAT job with tons and tons of info on his show. Either way, you can listen to the previously archived recordings on various topics. I need to learn more. I am in a bad possition I have Hypothyroid and I am told I will die if I do not have my meds, I am on 3 other meds also. I am trying to figure out what to do. I just sent you a private e-mail, Friend. I think we all need to remember to keep this all in Balance, use regular medicine when it's really necessary like you are having a heart attack or a stroke or your child's appendix is about to burst. But do take ownership for your own health. Don't be irresponsible in your health and nutrition choices and expect your doctor or nurse to fix it, and don't be intimidated to ask about alternative types of medicines or therapies. Hear, hear! My beliefs exactly! Thank you! I can testify about the candid i had it very badly and thought i was going to die they finally figured out what it was and put me on a very strict diet i got it from continuous rounds of antibiotics. For a whole year i could not eat anything with sugar in it or anything with yeast in it and i truley belive that that is what cancer is i know people who have terminal cancer and haved cured themselves from changing there diet. 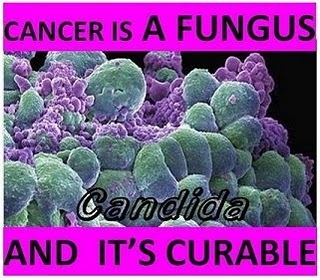 I also came across this website by accident its www.truerenewal.com there is a video you can watch this doctor will tell all cancers are a fungus its really good. anyway i thought i would share. I, too, have hypothyroidism and am getting tired of forking out all that cash (no insurance) for meds. I don't WANT to die, but if there is an alternative that's viable then I would like to learn about it. Thanks so much Kellene. Can you send me also the private email on treating hypothyroidism. No sure what to do when my medicine is not available??? that's the thing about essential oils. They aren't drugs that are synthetically isolated to work on just one thing. As such there are all kinds of glorious side effects when we use them IF we stick solely to the pure/premium ones. I discovered PRN a couple weeks ago and you have quickly become my absolute favorite show. I make sure to download and listen to them while cleaning my kitchen :) thanks for all the wonderful info! So glad you found us, Clair! Both my father in law and husband have suffered from severe acid reflux. My FIL has been on prescription medication for almost 10 years. He's off now, and want to know the amazing secret? Apple cider vinegar. Often times when you are getting acid in your esophagus, it's typically because the muscle that closes off the top of your stomach (LES) is not getting triggered. Surprisingly, this usually happens because there's not enough acid. That muscle gets weak and starts allowing more acid to travel up. Taking 2 Tbsp. 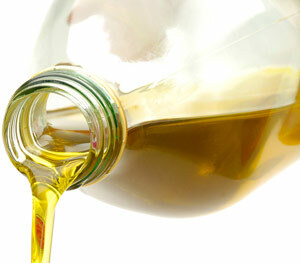 of vinegar in the morning or before meals will give your body that trigger to close off the stomach. It might take up to 2 weeks to rebuild your LES muscle, but give it a try. My FIL has been off his meds for over a year, and my hubby went from having heartburn every night to maybe twice a year. Dietary changes help a lot, too. Reduce (preferably eliminate) dairy, meat, and sugar. Those are the 3 worst things for you in general, but especially for your digestion. People are so strange sometimes. I am very much a 'live and let live' kind of gal. If an adult bookstore bothers you, then don't go in there! If you don't like certain television programming, don't watch it! If they don't want to hear what you have to say, then why are they here reading it?? We DO want to hear your advice and benefit from your experience, which is why we are following your blog. If for some reason, myself or others don't always agree, we are not contract bound, we are not sheep, no one is holding a gun to our heads to make us follow your lead, nor are we 'brainwashed' drugged, or otherwise forced into it. We have free will, and can make our own decisions. I say THANK YOU! Please keep on doing what you are doing, I appreciate it. Someday, if you ever have the time and the inspiration to do it, would you consider a post on "HOW TO" make essential oils, tinctures, even hydrosols at home? It's probably not a top priority topic, but it is helpful to people who may not know simple ways to make "medicines" at home. Not everyone will always be able to have pharmaceuticals for allergies, orthopedic issues, depression, or any other illness on hand. Simply making peppermint tea to help clear congestion is something people can do at home, and they don't have to stock up on essential oils to do it. Not everyone can afford to buy up all those products ahead of time, so learning to make some at home is good, even though they might be a weaker, lower quality product. Personally, it bothers me when I hear herbal remedies being touted over traditional medicine. Sure, homeopathic has it's place. But so does modern medicine, and I worry that some people will read these things and decide to drink vinegar instead of go to the doctor when they should... Earlier identification of a disease or illness is often key to overcoming it - as in, many cancers CAN be cured at stage 1, but not at stage 4. There is a reason the United States has one of the longest life spans in the world, rather than places in Africa or India that use traditional healing... And there is a reason why our life spans are also so much longer than they were "back in the day". Because medicine does work. To assume that it's "all a conspiracy to keep you sick" would be to assume that every person in a high-ranking position in the medical, pharma, FDA, etc is a bad person who doesn't want you to get well. I personally believe there are still plenty of good people out there trying to do their best, even ones with high-ranking jobs. Pacific Islanders eat coconut oil; Pacific Islanders don't have heart disease. Therefore, coconut oil prevents heart disease. Umm, does anyone else see the problem with this?? "I feel like I'm taking crazy pills" lol. There could be 101 other reasons why they don't have heart disease - genetics, for example. To assume that was correct would be the equivalent of assuming the following is correct: 99% of prison inmates ate tomatoes when they were children. Therefore, eating tomatoes makes you develop a criminal mindset. Nonsense! Also I can add the experience of my father-in-law with heart disease. For years he tried herbal remedies rather than traditional medicine (due to no insurance). His condition got nothing but worse until he gave that up and started the traditional approach. Then it got nothing but better. So anyway, I'm not trying to be argumentative, and I really do value most things on this blog. But I'm just saying, if someone wants to throw extra time and money into holistic than go ahead, but just don't abandon regular medicine as well... That could be dangerous. Those of us who depend on the modern society for life have just got to pray that it doesn't end anytime soon... And stock up on our meds if we can. So then, what is your solution when there's been a financial collapse or an EMP or an earthquake and modern medicine is NOT available? Is THAT the time that we should start trying to look at alternative methods of health care? That kind of defeats the purpose of preparing now, doesn't it? And by the way, the U.S. is the ONLY country on the planet that does not accept homeopathic remedies as a part of their medical practices. In France they prescribe homeopathic remedies 80% more than chemical ones and yet you don't see people dropping like flies there do you? Additionally, any medical doctor today will tell you that the best way to manage heart disease and diabetes and depression is with ALTERNATIVE health care such as exercise, plenty of water, making wise food choices, and moderate cardiovascular exercise regularly. I'm all for people having alternative views, however, I don't want people to risk their lives on something that won't or can't be around when things get very tough and then look back and regret that they didn't do something now to learn so that they could be comfortable and healthy later. Worse, we've become SO reliant on chemical solutions that we've abdicated our own responsibility to take care of ourselves which is also counter to being self-reliant. Recently ran across what "seems like" a DIY/diagnostics/natural/physician/researched approach to "CURE for ALL CANCERs" as Dr. Hulda Clark would say. Research started with Kevin Trudeau's, "More natural "cures" revealed", to "DSMO and Hydrogen Peroxide" website & articles, to "Educate-yourself.org", http://educate-yourself.org/hp/index.shtml; Youtube: DrClarkOrientation; to "CancerTutor.com HP Cancer Treatment". Read all the warnings and decided to start with the "pH saliva test". I have been trying to use natural means to care for my family since 1983, learning as I go. I have NOT been diagnosed with cancer, nor "feel like" I "may" have cancer, although they say "we all have cancer cells in us." I do however, have an "oxygen issue". I cannot "maintain oxygen in my blood". I don't have "respiratory issues", although I have had a cough since a really bad cold (which I've never had before or since) since apx. 2002, sometimes worse than others. Anyway, I have been researching "oxygen/blood/breathing/cell" level. H2O2 & DMSO sounds great, but not if you have cancer. Then I found Dr. Clark. So, I have made a decision to start with pH saliva test to detect the possibility of cancer 1st, if so, follow her procedure 1st, then follow H202 & DMSO if I still need to, although, I can still use H202 & DMSO for other home remedies as well as pet/farm animals. Final questions? Can it be "homemade"? *lol* I believe I read something, but I haven't fully researched this part yet. But, there is always "vinegar", also. I believe at this time in my research, if we "can make" H202, DMSO & vinegar at home, we "may" have it pretty much covered. I would really like to hear what you think. I don't really expect this to be posted, I hope you will review this before it is posted. Everyone needs to DO THEIR OWN RESEARCH .. and then decide for themselves, if this will be part of THEIR OWN BELIEF SYSTEM. Because the information you are sharing seems to be inline with what I also research and do, I thought personally, you might be interested. I really appreciate your website and the fact that you have said "can I make it?" I like that! Blessings, keep up the great work. Good/truthful websites are hard to find. If you can post some of your sources (especially on controversial issues/warning issues when necessary), that would be helpful. This does not necessarily mean ".gov". I'm not sure there is anything pertaining to the .gov that I believe, except that they can't be trusted. Sorry for the mistakes above. Sorry for the mistakes above. My tablet does what it wants sometimes. That was ER visits and truely found your calling. Yes, but ONLY Use the European medicinal grade quality. You need to have more patience. All comments are approved prior to posting. Personally, I'm not a fan of anti-biotic use since they have no cellular communication capabilities. As such, I only use European medicinal grade essential oils and ones which I can use the right tool for the right issue; meaning that I'll use an anti-bacterial, antifungal, antimicrobial, or antiviral depending on the issue. However, I did write an article on Fish Antibiotics. If you look at that article you'll see several links to Dr. Bloom and Nurse Amy links regarding anti-biotic use.